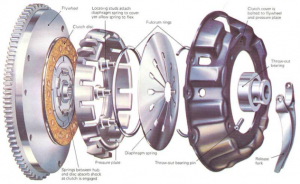 At PDL we offer clutch repair Gloucestershire, clutches are designed to wear and subsequently, it is inevitable that at some point, it will require replacing. Typically a clutch will last for 70,000-100,000 miles depending hugely on the way the vehicle is driven. Typical signs of clutch wear include the vehicle RPM (REVS) increasing faster than the speed of the vehicle, this known as “clutch slip” another common fault is finding it hard to depress the clutch pedal enough to engage a gear easily or a rattle noise being heard when you release the clutch pedal but vanishing when it is pressed. All these are common tell-tale signs of a failing clutch. We have the facilities and the space to carry out engines, gearboxes and clutch replacements on many varieties of vehicles including the larger class 7 vehicles aswell. 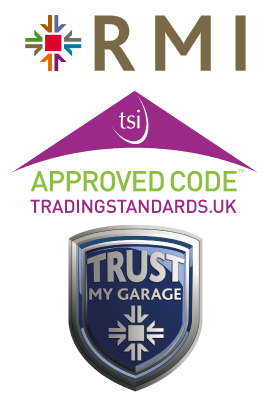 We can provide cost effective options on different brand clutches and parts so our customers can be safe in the knowledge that a reputable garage is looking after their best interests and more importantly their wallets. When having a gearbox an engine or a clutch changed with us, we will also replace all old engine oils, with new correct specification grades, giving your engine or gearbox a healthy start in its repaired state. Having an engine or a gearbox replaced or repaired can be an extremely costly and stressful time, weighing up different options can sometimes be very confusing and overwhelming. At PDL we can take that stress away from you, not only do we supply and fit used and reconditioned engines and gearboxes, keeping the costs to a minimum but we can also do the legwork for you. We will advise you on all of your options, explain them to you and prepare the pricing structures to give you the best chance of choosing the correct route to suit your needs. This way you get professionals looking out for you and advising you on the most cost effective routes to take.